Pixar’s SparkShorts program — its program allowing animators outside of their regular circle of directors and writers to create experimental shorts — has already produced one incredible work of art, with Purl, the yarn based feminist analysis of the animation workplace (and perhaps a lot closer to the Pixar workplace than they originally thought). Now, we get another treat with “Smash and Grab”, a beautiful story of adventure, friendship, loyalty, servitude, and best of all, trains and robots, directed by Brian Larsen, and is sure to seize you heart with the high octane, aughts era science fiction excitement of it all. Check out the short animated film below, and be stunned, amazed, apalled, and excitement by the ever increasing beauty of it all. The short has more of a strong science fiction tinge to it, especially when compared to the more cartoonish and loveable Wall-E. This on the other hand is brutal. It includes the robots dying, a train accidents, guns and bullets. Like the swear filled and filled to the gills with complexity, Purl, this short is a lot more adult, with all the violence, tragedy, and dead serious robot faces that all of that kind of thing belies. The short, much like “Purl”, came with a making of featurette, that lets us see some of the influences behind the cartoon, along with a short that shows more how it was visually developed. 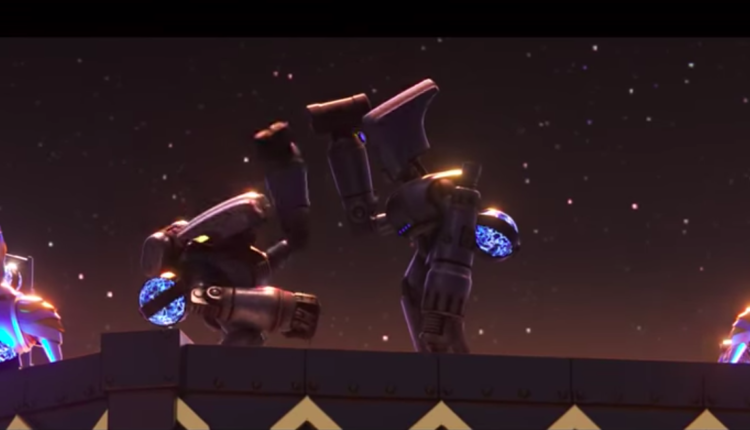 Larsen discusses how the short was designed with an art deco look in mind, giving them the texture and feel of something designed by William Joyce (children’s book animator who has the questionable honor of being the guy to design Dreamworks’ “Robots”). Additionally this Pixar cartoon used motion capture to create its animation, and while that is a common practice for video games and science fiction and fantasy movies, for Pixar it’s virtually unheard of. Exciting! What do you think of Smash and Grab? Let us know in the comments or on Twitter at @WhatsTrending, and check out our write up about an LGBTQ child discovering who he is in a beautiful short.